When you speak about food art, probably the first thing that will pop out from your head is that big statue made from chocolate or an enormous food banquet arranged accordingly to form a mosaic of a popular figure. 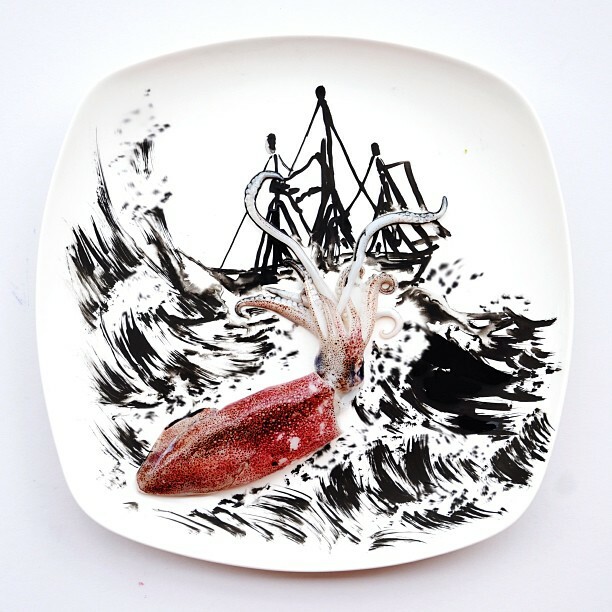 Well, size isn’t everything and for Hong Yi (nickname Red), she exudes this with passion by doing what she does best –food art on a plate. (See her creations below). For those interested on knowing the artist behind these masterpieces, she’s a Malaysian who studied on Melbourne, Australia and graduated with a degree in Architecture. For the past few years, her interest is about painting portraits and sharing it to her friends and netizens through social-media. It’s only recently that Red’s interest has focused more onfood art. An interview from designboom shows the driving force that inspires Hong Yi from doing these art creations. Those images seen below are part of Red’s ’31 days of creativity with food’ project and if you’re really interested on finding more artworks and her future endeavors, you can visit her Facebook fan page with 19k likes and counting. 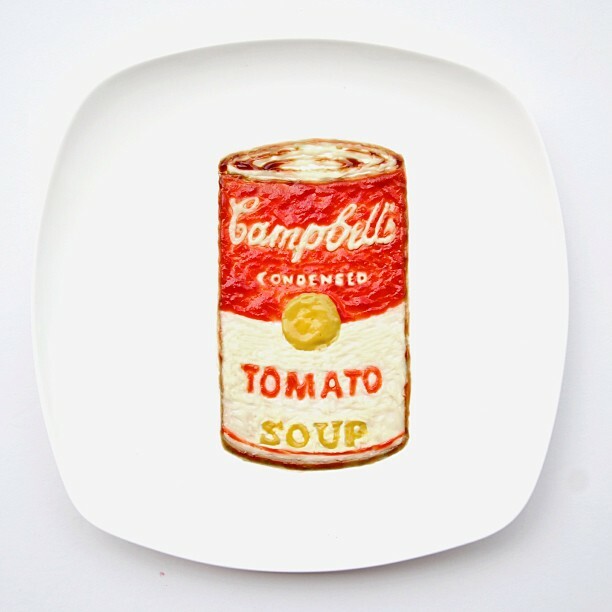 Campbell soup made from ketchup, mayonnaise, mustard and oyster sauce. 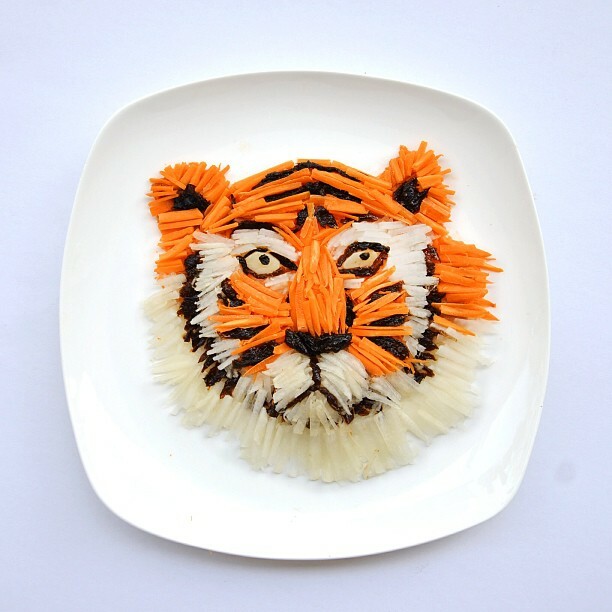 Tiger made of chopped carrots, white radish and dried prunes. “Giant Squid Attack” made from real squid ink and fresh squid at the center. 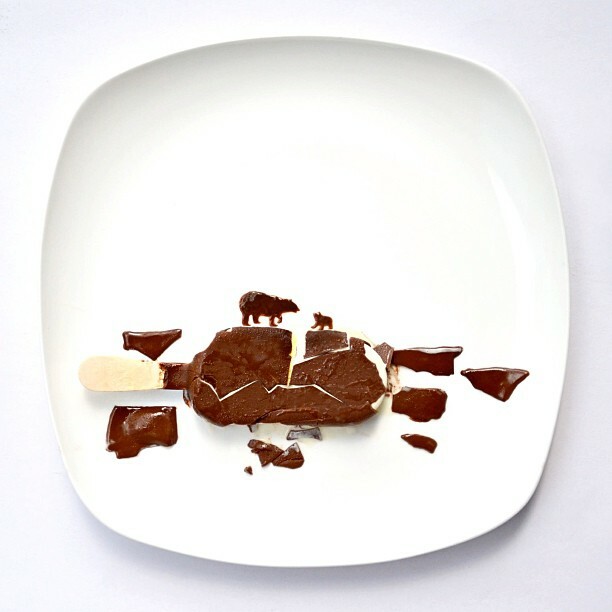 A chocolate popsicle representing the Artic melting. And yes, you can also see those chocolate polar bears melting on top. One thing that touched the heart of many Malaysians and Filipinos is this artwork representing the struggle between Sabah’s royalty descendant and Malaysian police. 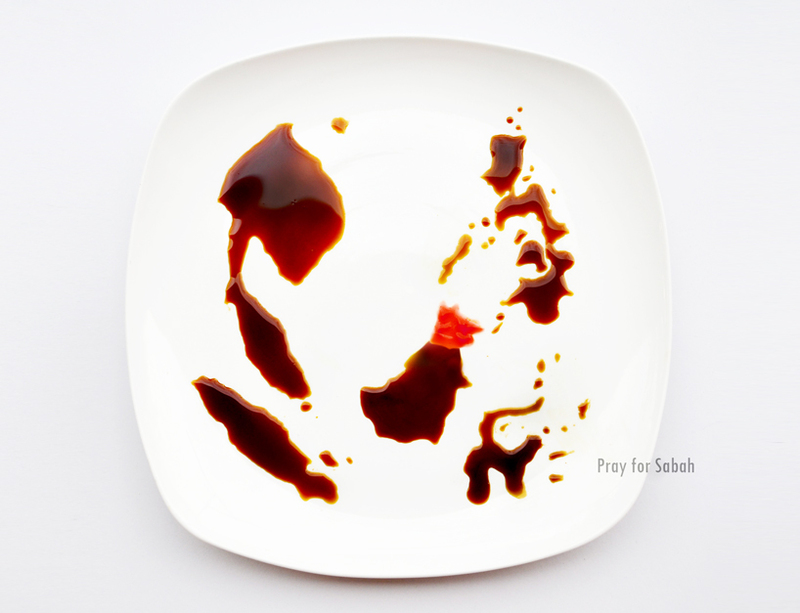 Take note it’s made from pure soy-sauce and a piece of sashimi (placed on the center) to show the crisis happening on Sabah. As you can see from the photo, Hong Yi made all of her creations from scratch and she takes a photo out from them when they’re done. Pure talent indeed.